She was some of the most fun you could have on a night out in New York until she wasn’t anymore. The thin man looked up and down Second Avenue for the fuzz and raised the snuff spoon to her nostril and she scooped it up with her beak in less than a second. Then the man said he wouldn’t leave because she had sampled the merch and he insisted she had an obligation to buy. She said that fifty dollars was too much and that thirty was the going price in her hood. Then he muttered something about this being Manhattan and she grew truculent. I stood there, frozen, even as he got in my space aggressively with the spoon from the start when I said no I would not be partaking. And I tightened my knuckles and wondered if I was going to have to get into a fight. Just how in the hell had I managed to get to this place? I was standing outside an underpopulated dive with sky priced drinks and the worst DJ mix I had probably heard in five years and I wasn’t having any fun at all. The man wouldn’t leave and, given his showy scrutiny, it was clear that he was a small time type trying to unload some supply. 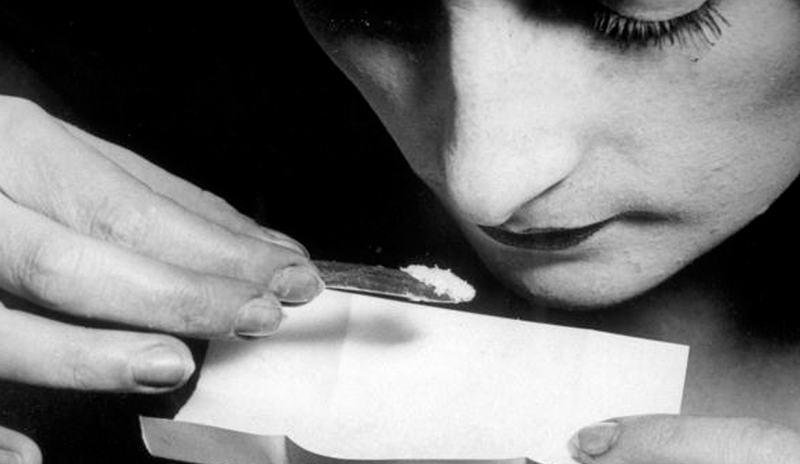 I had lost a friend to coke many years before. My mother had snorted blow. I had never actually seen her do this, but I did sometimes see the white dusty residue on the mirror some Saturday mornings, along with the whir of the tumbleweed she’d picked up the night before, blowing out the door without even stopping for a newly brewed cup of MJB. After five minutes, the dealer left. She had a satisfied smile on her face. And the scene gave me new context for someone who I had pegged before all this as merely exuberant. It was not long after this that I realized $100 was missing. I had come to her because I had had a wild night and I thought she was the knowing soul who could help me make sense of it. An evening that started with a date that never showed, continued with a happy hour among old men sitting by themselves and sipping their old man drinks as I nursed a pint while staring at nautical symbols, and that concluded in a feral surprise with three young ladies at a karaoke bar who really liked my singing voice and had rather bold ways of expressing their appreciation that thoroughly confused me. It was a story too unbelievable, the kind of tale that a man my age would invent to make himself feel better, yet it actually happened. And I needed a friend who could help me make sense of it. Because it was too improbable. The first woman had left. She had a train to catch the next morning. Shortly before ensuring that the two remaining women, one quite drunk and the other quite stoned, were with friends and had safe passage home, I texted my friend and asked if she was out and wanted to talk. She told me to meet her at a Midtown bar. I’d met her months before during one of my bar crawls and we’d hung out a few times. We were strictly platonic. She was young. She had a bright voice and a magnetic charisma and an inexhaustible energy that matched mine. We bonded over Russian literature. It was impossible not to like her. And I couldn’t help but love her a little. We had one conversation in which we described our respective sexual histories packed with such loaded tension that we later ended up kissing, although we both put a stop to that when she said she was not into me. I’d let her crash at my apartment a few times. She was quite fond of having me buy a six pack at a bodega around four o’clock and taking it to a bench, with the two of us drinking as the sun came up, casting a lambent tranquility after a raucous evening. Often I would go to one of my early morning shifts right after this, without sleeping. She once sent me a picture where she sat defiantly on the edge of a rail, careless about her balance. I thought it was a pretty thrilling image that captured her spirit and I showed it to a friend, who promptly told me, “That’s nothing special. What do you see in her?” Adventure. Liberation. Independence. A deliberate flouting of the rules. Existence, in a word. But there were many qualities I didn’t see until life happened. I never really understood what she saw in me until that night. Then I realized that I usually paid for the drinks because I was a gentleman and I tried to be nice. There had been one time in which she had experienced a concussion and I felt the scars on her head and she was curiously elusive about the cause. When I met some of her friends, they all seemed to be strangely quiet around her, almost hesitant to speak and always giving her the floor. When I asked amicable questions of them, they offered terse and sheepish answers. They didn’t want to be known even though they laughed at my jokes. It was damned odd. When she asked if I had disapproved of her gotcha moment with the dealer when we returned inside the lackluster dive, she already knew my answer. But I replied sadly, “It’s your choice.” What had seemed amusing all the times before had now twisted into this new challenge: who was living the better and more vibrant life? And then I realized why all her friends had been quiet. And between that and the missing cash, that’s when I knew I had to get the hell away from her. She chased after me, calling me a child. She shrieked that everyone in the neighborhood could hear us shouting at each other. Predictable tactics to shame me. But I could not be shamed. And I would not let her reduce me any further. Her instincts revealed her as a fiend, not a friend. And I ran to the subway and I raced down the stairs and I wept over what had been so horribly revealed and what had always been there all along as the subway began its slow trundle forward.